League of Ireland chief Fran Gavin believes troubled Limerick can get through the rest of the season unscathed - but indicated they will have to cut their budget in order to do so. 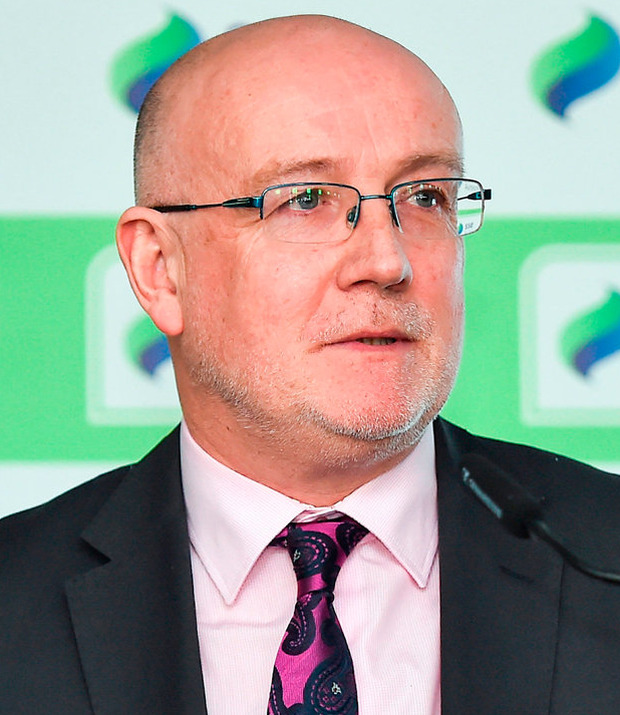 Gavin met with Limerick officials yesterday as the latest development in a difficult spell for the Shannonsiders with the delayed payment of May wages raising concerns about their future. Owner Pat O'Sullivan is looking for new investment and Gavin has suggested there are interested parties. But in the meantime, Limerick need to manage their finances and there is an expectation that some higher earners will leave when the transfer window re-opens. "All the players have been paid. They're looking at revising their budgets. I'm confident that Limerick will be in good shape by the end of the season. So we'll be having discussions again next week with them," said Gavin. "I think they'll have their own discussions with their players and if players want to stay - those discussions will be going on for the next while. That's internally that they have to address it and it's between the club, the managers and the players." Gavin was duly asked if wage cuts were another option. "That's up to the club to see how they get to that stage," he said. "It wouldn't be only the playing side, it would be other areas of the operation that they'd have to look after. They're very realistic about it. "Pat has put huge money into the club, and he wants to make sure there's a strong Limerick team in the league. And they're all working towards that, everybody's working towards it long term. "They've got good facilities now, the place in Bruff, the training, that all takes funding. And it's investment. And it's long-term investment. I think it's just a short-term problem at the moment. "We're aware they are talking to some investors. And you'd hope that somebody could come in and support the good work that they're doing there in Limerick." Limerick's problems had raised questions about the FAI's licensing process given that they were allowed to play in the Premier Division on the basis of budgets they submitted. Bray hit serious issues midway through last term that damaged the league and threw the spotlight on the authorities. The FAI have always stressed that licenses are handed out by an independent body, but Gavin acknowledged there might be lessons to learn. "We review licensing every year, we see what parts work, what parts don't work and where we need to improve," he said. "And we'll amend them accordingly to try to ensure that you don't have issues in certain areas."